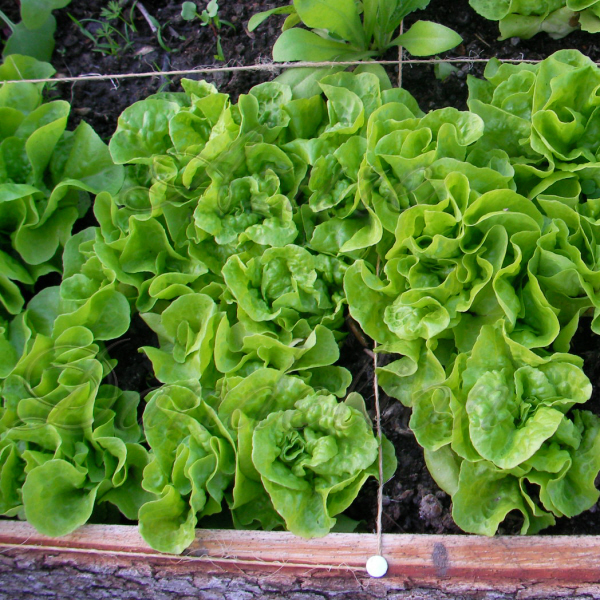 Tom Thumb Lettuce is a butterhead type of lettuce. It forms little rosettes. As with most things we plant the seeds closer than recommended. We also almost never thin seedlings, of any kind, as it is a waste of seed, time, and food. They do get bigger than this. Full maturity is 60 days. These are only 28, but if you are impatient like us, harvest away.